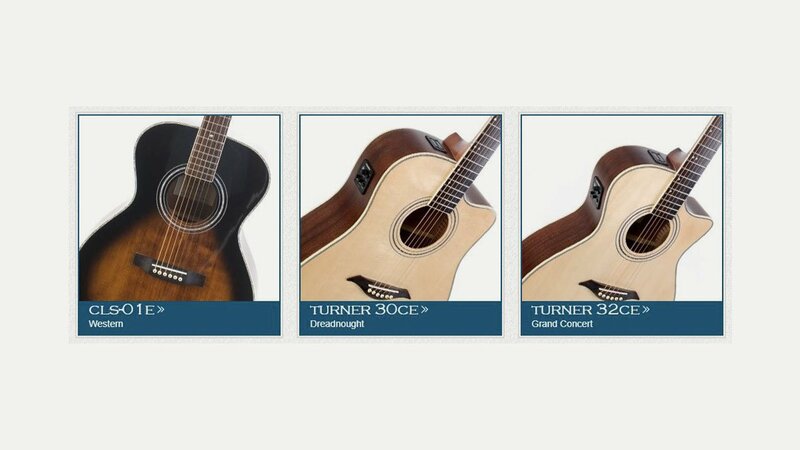 Each guitar is made using finest materials including solid spruce tops and carefully selected tonewood bodies, complemented with precise custom scalloped bracing. 30 Series models upwards have a bone nut and saddle for extra tone and sustain, the finger board has a 45mm width at the nut, making the guitar a ‘finger-style’ player’s dream. Designed in the UK and made in a small factory in Southern China; every guitar is checked and set up before leaving the Turner workshop in the UK. Their range of guitars covers several body sizes and includes cutaways and electros.